In Fishkill, NY, the clinic isn’t only about providing quality care and glasses to patients in need. It’s also about creating positive and memorable experiences for kids at summer camp in partnership with the Fresh Air Fund. 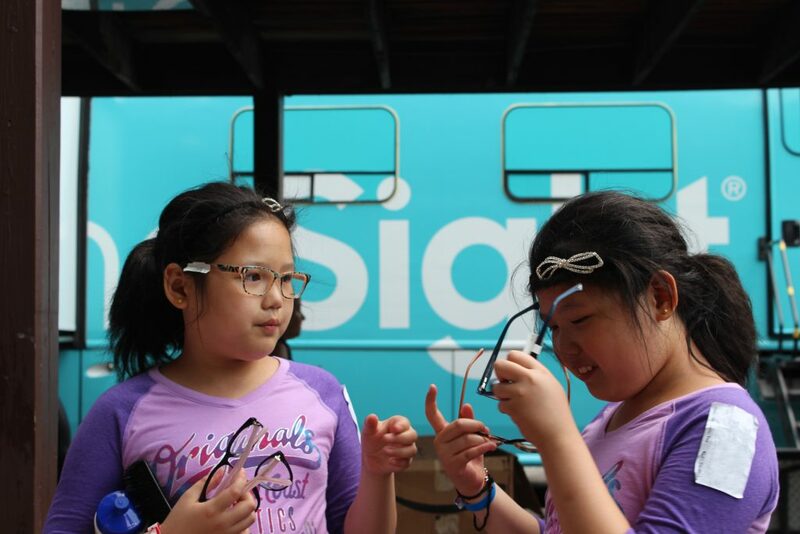 Their first eye exam and experience with us at camp creates a lasting impression of the importance of vision care and how wearing glasses can improve their life. Oftentimes, we are also their only interaction with adults that take time to listen to them, care what they have to say, and show them respect. It’s up to us to leave a lasting, positive impression. At camp, we had the privilege of meeting Lina and Lily, twins from New York City. Being twins is their identity. They were dressed in identical outfits, from their colorful outfits and smiles, right down to the purple glasses they received at a previous clinic. They had slightly different, but strong prescriptions. Both would be at a disadvantage in school without glasses and their quality of life would be dramatically different. 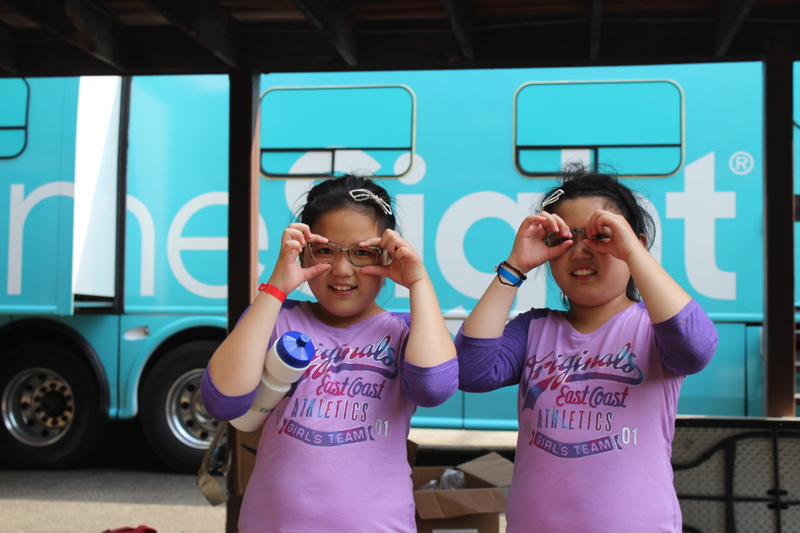 Making sure that wearing glasses is something they are excited about is a huge win, and for Rachel and Renee we planted that seed years ago so that coming to the vision van is now a highlight of coming to camp for them. During the experience, Lina and Lily got separated while we worked out an issue with their paperwork. Lina told us how worried she was that Lily would be picking her glasses first. What if there isn’t a matching pair? What if they don’t get to have the same glasses? You could tell how important it was to them. Knowing how much it would mean to them and that they may continue to wear their outdated prescriptions if they couldn’t match in new frames, we set aside sets of frames for them to choose from, and made sure Lina was able to wait for Lily to pick them out together. They picked out fun, floral-print frames that they both loved and made their day! Their smiles truly tell it all. To help more kids like Lina and Lily, give $10 today. Note: It is OneSight’s policy to change the names of minors to protect their privacy.